The 2nd Edition of the best-selling book which has sold over 400 000 copies in 17 languages - updated with new content and insights about the world's people. 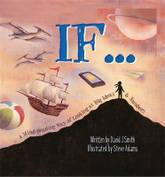 First published to wide acclaim in 2002, this eye-opening book has since become a classic, promoting ?world-mindedness? 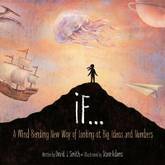 by imagining the world's population - all 6.8 billion of us - as a village of just 100 people. Now, If the World Were a Village has been newly revised with updated statistics, several new activities and completely new material on food security, energy and health. By exploring the lives of the 100 villagers, children will discover that life in other nations is often very different from their own. 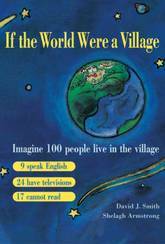 If the World Were a Village is part of CitizenKid: A collection of books that inform children about the world and inspire them to be better global citizens. 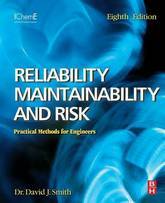 Reliability, Maintainability and Risk: Practical Methods for Engineers, Eighth Edition, discusses tools and techniques for reliable and safe engineering, and for optimizing maintenance strategies. It emphasizes the importance of using reliability techniques to identify and eliminate potential failures early in the design cycle. The focus is on techniques known as RAMS (reliability, availability, maintainability, and safety-integrity).  The book is organized into five parts. Part 1 on reliability parameters and costs traces the history of reliability and safety technology and presents a cost-effective approach to quality, reliability, and safety. Part 2 deals with the interpretation of failure rates, while Part 3 focuses on the prediction of reliability and risk. Part 4 discusses design and assurance techniques; review and testing techniques; reliability growth modeling; field data collection and feedback; predicting and demonstrating repair times; quantified reliability maintenance; and systematic failures. 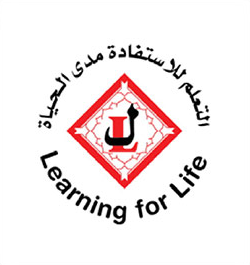 Part 5 deals with legal, management and safety issues, such as project management, product liability, and safety legislation. 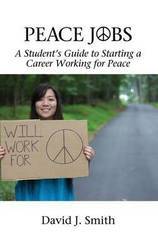 This book is a guide for college students exploring career options who are interested in working to promote peacebuilding and the resolution of conflict. High school students, particularly those starting to consider college and careers, can also benefited from this book. A major feature of the book is 30 stories from young professionals, most recently graduated from college, who are working in the field. These profiles provide readers with insight as to strategies they might use to advance their peacebuilding careers. 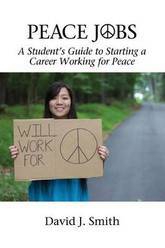 The book speaks directly to the Millennial generation, recognizing that launching a career is a major focus, and that careers in the peace field have not always been easy to identify. As such, the book takes the approach that most any career can be a peacebuilding career provided one is willing to apply creativity and passion to their work. This is the new paperback edition of a beautiful and unique book, which explains facts about the world's population in a simple and fascinating way. Instead of unimaginable billions, it presents the whole world as a village of just 100 people. 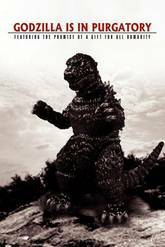 We soon find out that 22 speak a Chinese dialect and that 17 cannot read or write. 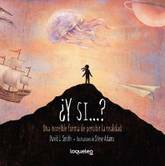 We also discover the people's religions, their education, their standard of living, and much much more...This book provokes thought and elicits questions. 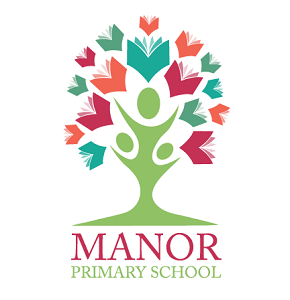 It cannot fail to inspire children's interest in world geography, citizenship and different customs and cultures, whether they read it at home or at school. 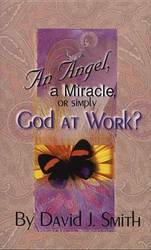 An Angel, a Miracle or Simply God at Work? 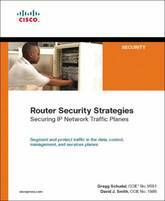 Router Security Strategies: Securing IP Network Traffic Planes provides a compre-hensive approach to understand and implement IP traffic plane separation and protection on IP routers. This book details the distinct traffic planes of IP networks and the advanced techniques necessary to operationally secure them. This includes the data, control, management, and services planes that provide the infrastructure for IP networking. The first section provides a brief overview of the essential components of the Internet Protocol and IP networking. At the end of this section, you will understand the fundamental principles of defense in depth and breadth security as applied to IP traffic planes. Techniques to secure the IP data plane, IP control plane, IP management plane, and IP services plane are covered in detail in the second section. The final section provides case studies from both the enterprise network and the service provider network perspectives. In this way, the individual IP traffic plane security techniques reviewed in the second section of the book are brought together to help you create an integrated, comprehensive defense in depth and breadth security architecture. Understanding and securing IP traffic planes are critical to the overall security posture of the IP infrastructure. The techniques detailed in this book provide protection and instrumentation enabling operators to understand and defend against attacks. As the vulnerability economy continues to mature, it is critical for both vendors and network providers to collaboratively deliver these protections to the IP infrastructure. -Russell Smoak, Director, Technical Services, Security Intelligence Engineering, Cisco Gregg Schudel, CCIE (R) No. 9591, joined Cisco in 2000 as a consulting system engineer supporting the U.S. service provider organization. Gregg focuses on IP core network security architectures and technology for interexchange carriers and web services providers. 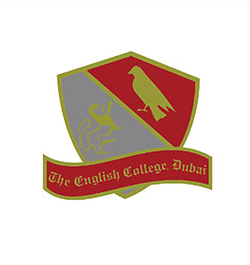 David J. Smith, CCIE No. 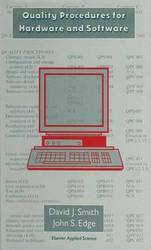 1986, joined Cisco in 1995 and is a consulting system engineer supporting the service provider organization. David focuses on IP core and edge architectures including IP routing, MPLS technologies, QoS, infrastructure security, and network telemetry. Understand the operation of IP networks and routers Learn about the many threat models facing IP networks, Layer 2 Ethernet switching environments, and IPsec and MPLS VPN services Learn how to segment and protect each IP traffic plane by applying defense in depth and breadth principles Use security techniques such as ACLs, rate limiting, IP Options filtering, uRPF, QoS, RTBH, QPPB, and many others to protect the data plane of IP and switched Ethernet networks Secure the IP control plane with rACL, CoPP, GTSM, MD5, BGP and ICMP techniques and Layer 2 switched Ethernet-specific techniques Protect the IP management plane with password management, SNMP, SSH, NTP, AAA, as well as other VPN management, out-of-band management, and remote access management techniques Secure the IP services plane using recoloring, IP fragmentation control, MPLS label control, and other traffic classification and process control techniques This security book is part of the Cisco Press (R) Networking Technology Series. Security titles from Cisco Press help networking professionals secure critical data and resources, prevent and mitigate network attacks, and build end-to-end self-defending networks. 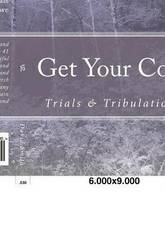 How to Use This Book The primary purpose of this book is to assist small companies, involved in both hardware and software, to devise and evolve their own quality systems. There are a number of national and now international standards which outline the activities for which procedures and records need to be specified. 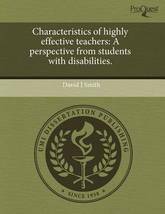 They are described and compared in Chapter 2, and the subsequent guidance in the book is intended to assist in meeting them. Although, at first sight, the operations of a hardware equipment developer may seem very different from those of a software house, the basic requirements of a quality system, such as the BS 5750 and ISO 1987 series of documents, are the same. For this reason the same standard can be called for in both areas and it will be seen, in Part 2, that suitable procedures can be derived to meet both types of operation. 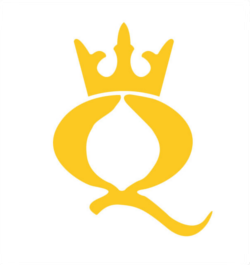 Quality standards (BS 5750, AQAP, ISO 9000 series) distinguish between companies carrying out, on the one hand, both design and manufacturing fixed functions and, on the other hand, those who only manufacture to specifications. In practice, the lesser requirements (those applying to manufacture to fixed specifications) are common to both levels of standard and the additional controls pertaining to design are added to obtain the higher standard. Chapter 2 explains the differences in detail. This book explores a largely forgotten legacy of multicultural political thought and practice from within Eastern Europe and examines its relevance to post-Cold War debates on state and nationhood. 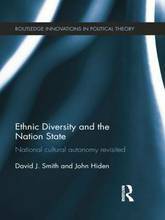 Featuring a Preface by former UK Home Secretary Charles Clarke, it weaves theory and practice to challenge established understandings of the nation state. Eastern Europe is still too often viewed through the prism of ethnic conflict, which overlooks the region's positive contribution to modern debates on the political management of ethno-cultural diversity, and towards the construction of a united Europe `beyond the nation-state'. Based on extensive archival research in Estonia, Latvia, Germany, Russia, as well as the League of Nations Archive in Geneva, this book explores this neglected multicultural legacy and assesses its significance in the post-Cold War era, which has seen the reappearance of national cultural autonomy laws in several states of Eastern Europe. Ethnic Diversity and the Nation State is invaluable reading for students and scholars of political science, history, sociology and European studies, and also for policy makers and others interested in minority rights and ethnic conflict regulation. The Safety Critical Systems Handbook: A Straightforward Guide to Functional Safety: IEC 61508 (2010 Edition), IEC 61511 (2016 Edition) & Related Guidance, Fourth Edition, presents the latest on the electrical, electronic, and programmable electronic systems that provide safety functions that guard workers and the public against injury or death, and the environment against pollution. 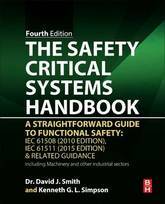 The international functional safety standard IEC 61508 was revised in 2010, and authors David Smith and Kenneth Simpson provide a comprehensive guide to the revised standard, as well as the revised IEC 61511 (2016). The book enables engineers to determine if a proposed or existing piece of equipment meets the safety integrity levels (SIL) required by the various standards and guidance, and also describes the requirements for the new alternative route (route 2H), introduced in 2010. 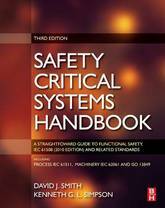 A number of other areas have been updated by Smith and Simpson in this new edition, including the estimation of common cause failure, calculation of PFDs and failure rates for redundant configurations, societal risk, and additional second tier guidance documents. As functional safety is applicable to many industries, this book will have a wide readership beyond the chemical and process sector, including oil and gas, machinery, power generation, nuclear, aircraft, and automotive industries, plus project, instrumentation, design, and control engineers. This edition provides a comprehensively updated and enhanced review of current quality methods and standards. It outlines causes of failure, current practice and standards and suggests an ideal approach to software control at each stage of the design cycle. The emphasis of this new edition has shifted towards safety critical software. 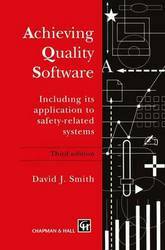 This book should be of interest to systems designers, software engineers, and safety and reliability engineers. This is a reincarnation of the Air Band Radio Handbook , an essential reference book first published over 20 years ago and a stronger seller throughout its eight editions. 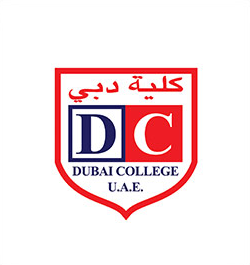 The new title reflects not just the extent of overhaul and updating that has occurred for this new version, but also the fact that a larger proportion of the audience these days comprises air traffic controllers themselves (both trainees and fully qualified) as well as the traditional air band listening enthusiast. The expert author's accessible and comprehensive text explains the intricacies of air traffic control and its jargon, enabling the reader to locate and interpret what is actually going on in the airways overhead. At this moment, there are more than 7 billion people on the planet! It's hard to picture so many people at one time - but what if we imagine the whole world as a village of just 100 people?In this village: 21 people speak a Chinese dialect, 10 earn less than two dollars a day, 14 cannot read or write, 45 have a television in their homes, 47 do not always have enough to eat.If the World Were a Village tells us who we are, where we live, how fast we are growing, what languages we speak, what religions we practice and more. This new edition updates and expands the statistics and provides new information on food security, energy consumption and health.There are several new activities that will stimulate discussion and show children and families how they can become more world-minded.Over 400 000 copies of this book have already been sold in 17 languages. 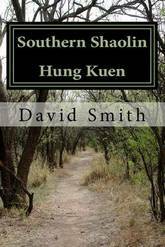 This is a volume about the Southern Shaolin Hung Kuen system of my Grandmaster Lai Ng Sam. Also, some intriguing and interesting research into Southern Kung Fu styles. Radical new research is presented, that the Author is hoping will interest Martial Artists and inspire them to look deeper into what they practice.. 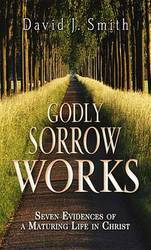 The 2nd Edition of the best-selling book which has sold over 400 000 copies in 17 languages ? 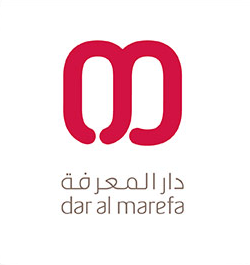 updated with new content and insights about the world's people. 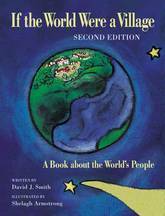 First published to wide acclaim in 2002, this eye-opening book has since become a classic, promoting world-mindedness by imagining the world's population ? all 6.8 billion of us ? as a village of just 100 people. Now, If the World Were a Village has been newly revised with updated statistics, several new activities and completely new material on food security, energy and health. By exploring the lives of the 100 villagers, children will discover that life in other nations is often very different from their own. 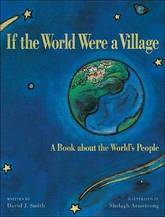 If the World Were a Village is part of CitizenKid: A collection of books that inform children about the world and inspire them to be better global citizens.